Home » News and Stories » REST is Reader Recommended! It’s rare that we say this, but we love everything about this recent review of REST, our collaboration between the Free Street Youth Ensemble and performance artist/Nap Bishop Tricia Hersey. Dan Jakes of the Reader shouts out everything from the “natural, ambient sound of joy” in Gage Park to how hard it can be for people of color to live, much less rest. 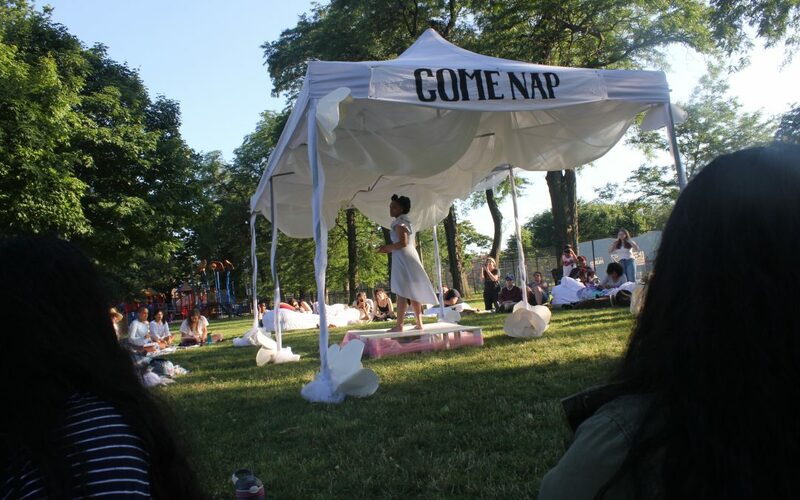 As part of the ongoing work of the Nap Ministry, Rest is an enlightening, thoughtful event that reminds audiences that a simple snooze can be a powerful and political act of self-care.